I started getting error messages from Outlook almost in a regular manner. That is when I started using this tool, and now I can reduce PST file size substantially to keep PST errors at bay. I recommend it to all Outlook users. Don’t wait till errors start haunting your Outlook PST. Own the Compress & Compact software now, and regularly compress your PST. It will help you to be away from unnecessary Outlook errors. 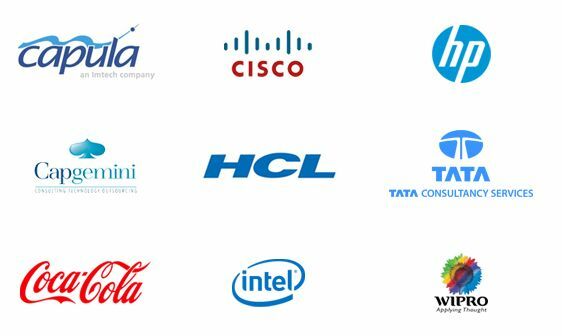 This software is good for Outlook users who suffer from 2GB errors. I had this issue as I was using an earlier Outlook version. But with Kernel tool, I manage my PST well. This tool is amazingly simple–anyone can use it. Kernel for PST Compress & Compact helps you keep PST file size in check. With reduced PST file size, Outlook users can be less apprehensive about corruption, damages and errors. If you don't know where the PST file exactly is, you can search for it in the directory or hard disk drive using the search facility provided by Kernel for PST Compress & Compact tool. Using this tool, you can compress and compact many PST files in a single cycle. This facility helps you complete the process quickly even if you have multiple PST files with you. 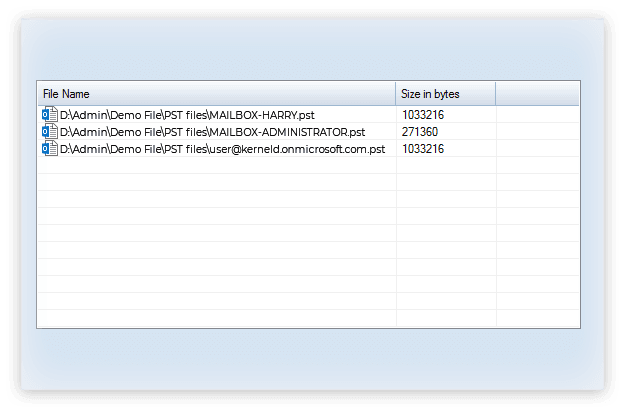 Attachments increase size of PST files, but this tool helps you to manage them effectively. It allows you to remove and compress the attachments to a folder or a new PST file. For compressing and compacting Outlook PST files, you need not be technically adept. You can do it just by reading the instructions on the Kernel for PST Compress & Compact screens. Kernel for PST Compress & Compact supports all recent versions of Outlook that are primarily affected by the PST size limitation errors–Outlook 2019/2016/2013 (both 32 and 64 bit)/2010/2007/2003/2002/2000/98/97. Step.1In the first step, add PST files directly if you know the location or make use of the search option to find out the file in directory or disk drives. 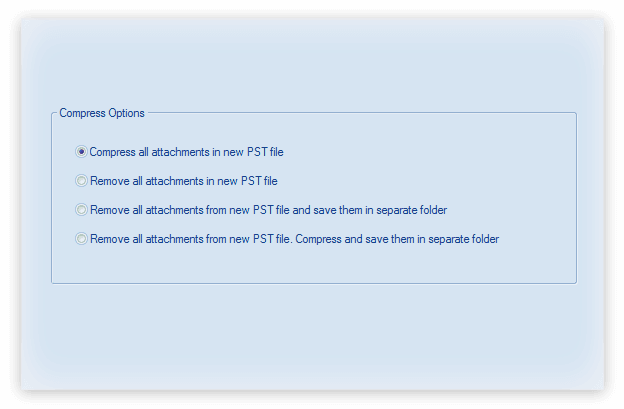 Step.2Before compressing, select different compression options (if required) related to the mail attachments. Step.3Save the output PST files in the desired location and once the tool saves the file, it displays a confirmation message. How to compress PST file with this tool? Launch the tool on your system and add the PST file that you want to compress. Select the required options to compress the PST file and click Next. Select a location to save the compressed PST file and click OK. It will take some time to compress the PST file. Once it is done, a notification will appear on the screen confirming the same. Who can use Kernel for PST Compress & Compact? Kernel for PST Compress & Compact is designed mainly for Outlook users with popular versions 2002, 2003 and 2007, as 2GB size limitation errors are more prominent in these versions. I don’t know where the PST file is located. Then how can I select it using Kernel for PST Compress & Compact? Do not worry. You can use the Search and Add facility provided by the tool to search for the PST file. It helps you find the PST files from a directory or a disk drive. Is this tool helpful in finding specific PST files on my system? You can use the search feature of this software to find and display all the PST files on your system. I want to remove attachments while compressing the PST file, is it possible? Yes, Kernel PST Compress allows users to remove any attachments from the PST files before compressing them. Can I compress PST file in bulk? Yes, you can easily compress multiple PST files with the help of Kernel PST Compress software. Why it is recommended to purchase the full version of Kernel for PST Compress & Split while the trial version is available free? The free version can save only the first five items after compressing the PST files. But the full version can save all the PST items. So it is highly recommended that you purchase the full version after the trial. Kernel for PST Compress and compact is a very useful utility for Outlook users, who are facing various problems due to increased size of PST file. Software helps to reduce the size of PST files by removing extra space and compacting them. I have recommended this product to all friends with all the trust.